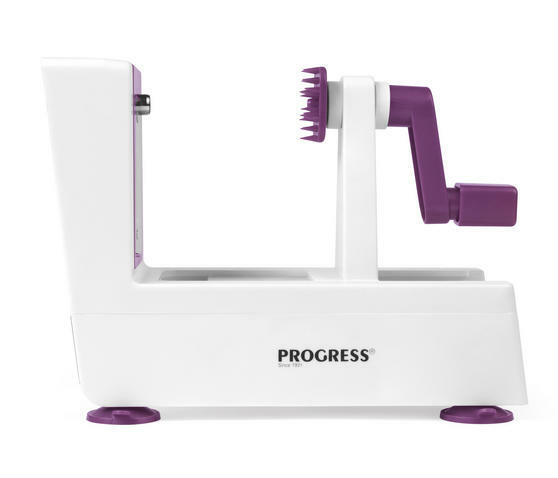 Create delicious ribbons from your fruit and vegetables using this Progress Be Balanced spiralizer, allowing you to make healthy alternatives to your favourite pasta and noodle dishes. 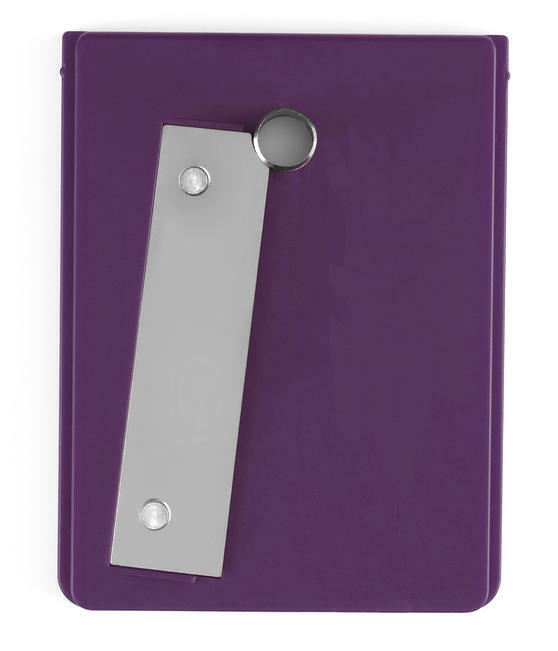 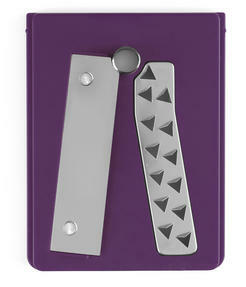 The device has 3 interchangeable blades for different spiral textures and sizes, made from stainless steel for outstanding quality and hygiene. Simply twist the spiralizer handle to make tasty ribbons in seconds, perfect for quick meals to share with family and friends, just add your dressing or sauce of choice. Make impressively healthy and satisfying salads, pasta dishes and much more with this convenient and easy to use Progress spiralizer. 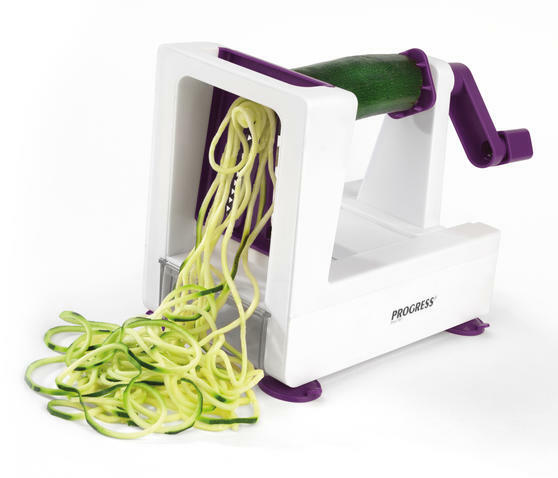 The spiralizer is brilliantly easy to use – simply place your fresh fruit or vegetable on the central food fork then twist the handle. 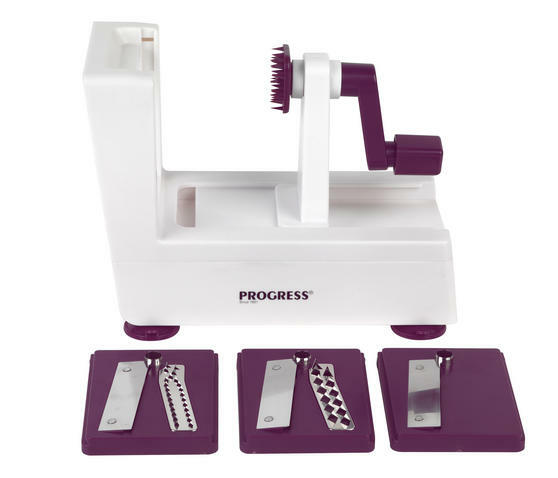 Cleverly designed with anti-slip feet, use the spiralizer on your kitchen worktop and store the blades safely away inside the unit. Made from strong stainless steel, the razor sharp blades are incredibly durable and efficient, making any food preparation effortless.